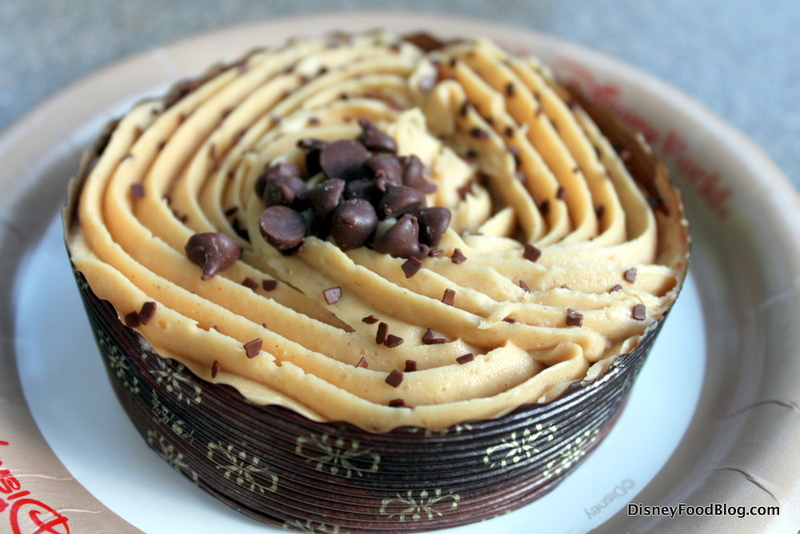 We love us some cupcakes here at the Disney Food Blog (check out our Disney Cupcake Challenge! ), and no year in review could possibly be complete without an ode to some of our favorites! So for your delicious viewing pleasure: DFB’s Favorite Cupcakes of 2018! Oh, yes. The year in cupcakes kicked off in high gear with the grandest cupcake of them all: the Rose Gold Cupcake! 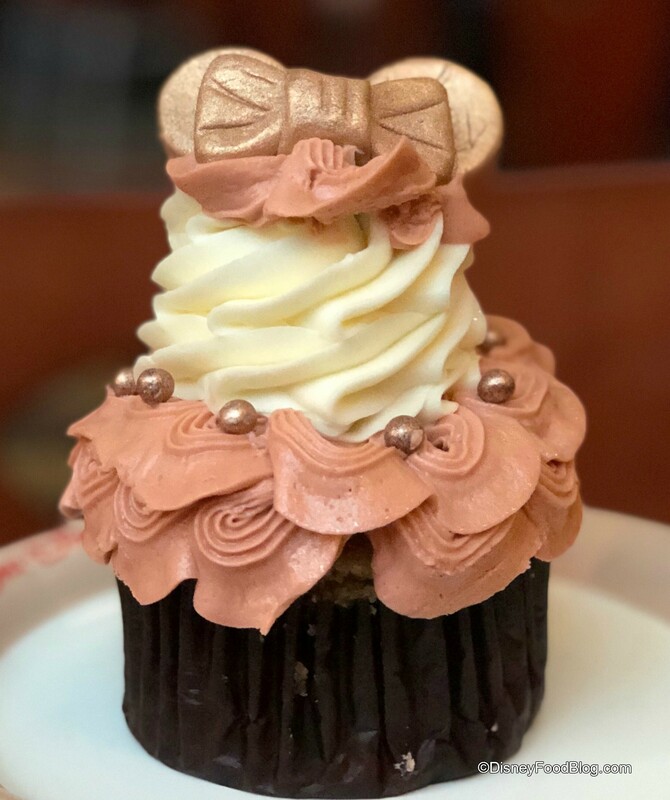 We found this beauty way back in January at Sunshine Seasons in Epcot’s Future World, and then rose gold treats suddenly began appearing everywhere! We didn’t hate the rose gold trend. We were in for the ears, the spirit jerseys, and — especially — the cupcakes! This one from Main Street Bakery was a big hit due to all. that. frosting! 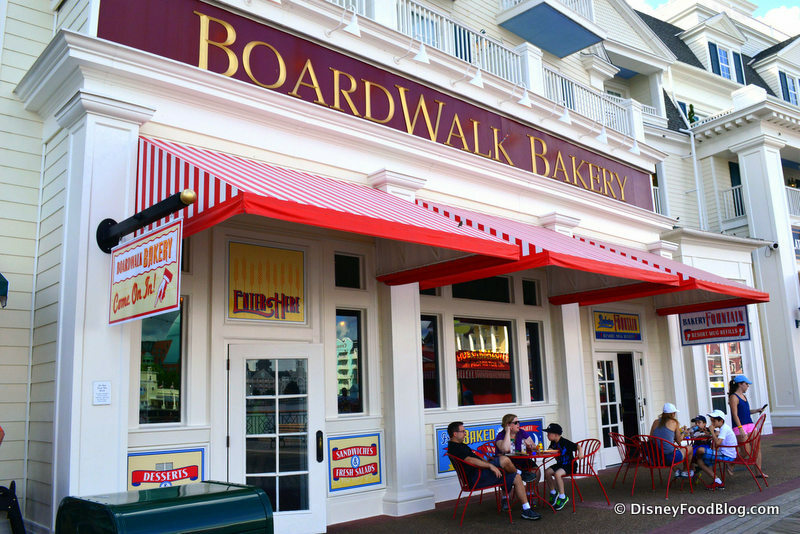 What’s on the Menu for Thanksgiving at Sebastian’s Bistro at Caribbean Beach Resort? 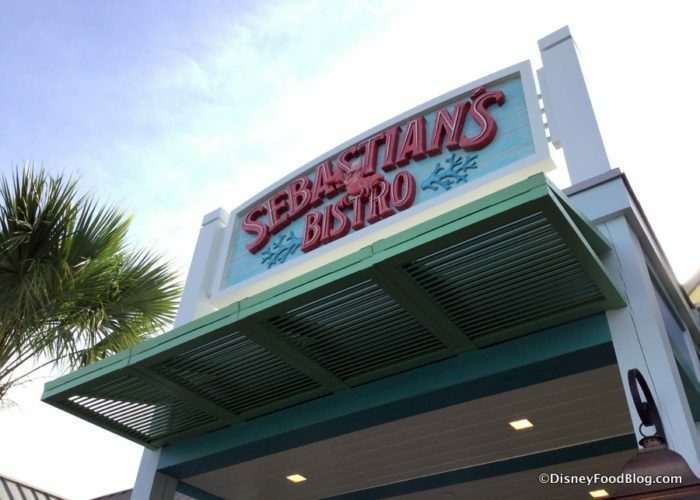 Sebastian’s Bistro opened at Walt Disney World’s Caribbean Beach Resort in October — just in time to get in on the holiday action that’s taking over the World! Sebastian’s will be serving up Thanksgiving lunch and dinner this year! Life is the bubbles — and the turkey, evidently! You’re likely already familiar with using the My Disney Experience website or app to book your dining reservations throughout Walt Disney World parks, resorts, and Disney Springs. 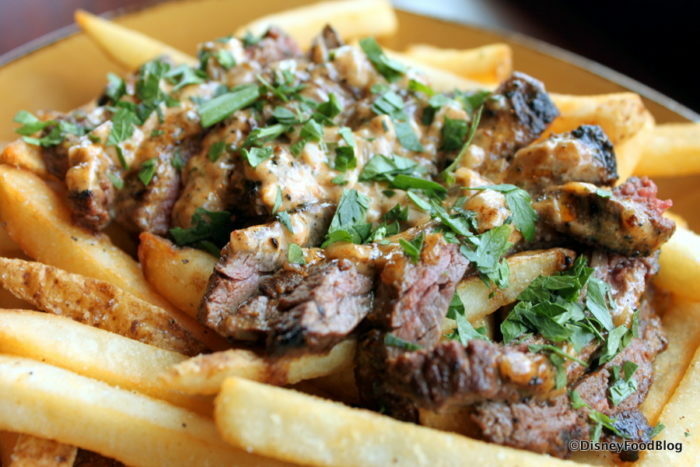 But did you know that some of these restaurants also offer reservations through OpenTable.com? We’ve got all the details! Want to try booking a dining reservation through OpenTable.com? We’ve put together a list of all participating restaurants on property. 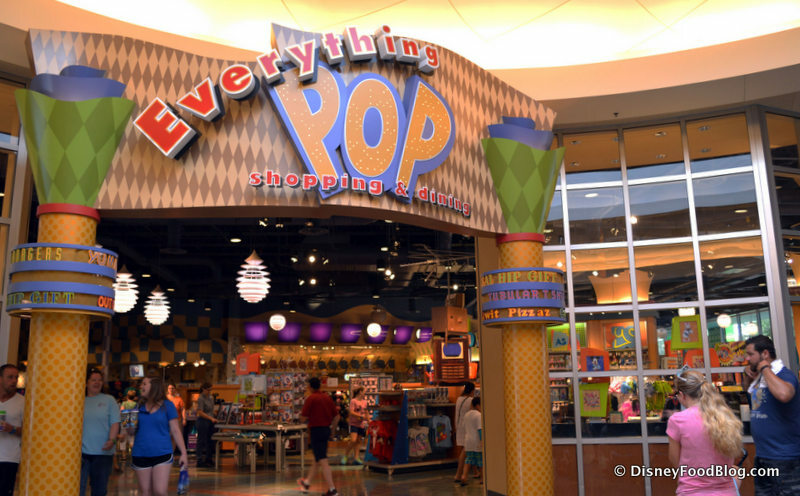 While you won’t find any in-park dining on the list, there are plenty of Resort and Disney Springs restaurants available via the site. Are you a member of Tables in Wonderland? Well, it’s time to put your chef hat on! Disney’s Contemporary Resort is offering two exclusive experiences just for Tables in Wonderland members. We’ve got a lot to look forward to in Walt Disney World in 2019! While we’re all waiting for Star Wars: Galaxy’s Edge to open in the fall, though, we can enjoy some fantastic dining experiences at the Contemporary January through March. These experiences usually book up quickly, so don’t wait to make your reservation. We bid a sad kwaherini to our beloved Peanut Butter Brownie at the Mara at Walt Disney World’s Animal Kingdom Lodge this summer, but we’re thrilled to say: it’s back! But things aren’t precisely as they were. The original Peanut Butter Brownie was a dense chocolate brownie completely covered in creamy peanut butter frosting. 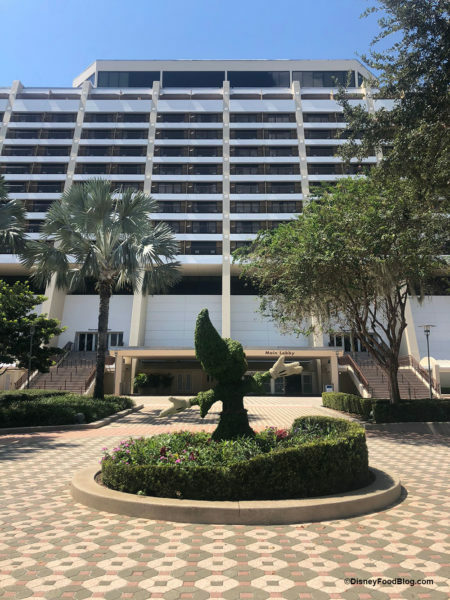 Disney’s Caribbean Beach Resort has been quite the center of attention this week! We’re bringing you one another first look from Old Port Royale: the newly renovated Calypso Trading Post! Before the renovations, Calypso Trading Post was a bit outdated with bright contrasting colors and patterns. 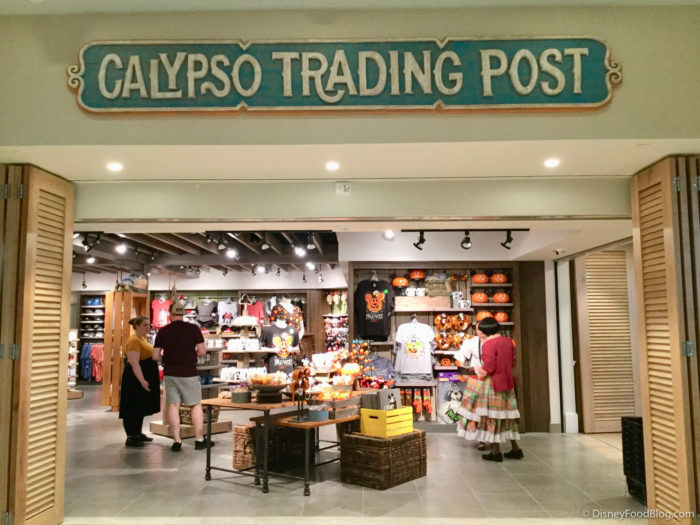 Check out Calypso Trading Post’s sleek new island-inspired look! The decor is simple and rustic but still gives off a laid-back tropical vibe – LOVE the stacked crates and tall shuttered doors! Disney Restaurant Review: Is Victoria and Albert’s Worth the $$$? Victoria & Albert’s Restaurant at the Grand Floridian Resort and Spa is the foremost restaurant for fine dining in Walt Disney World. 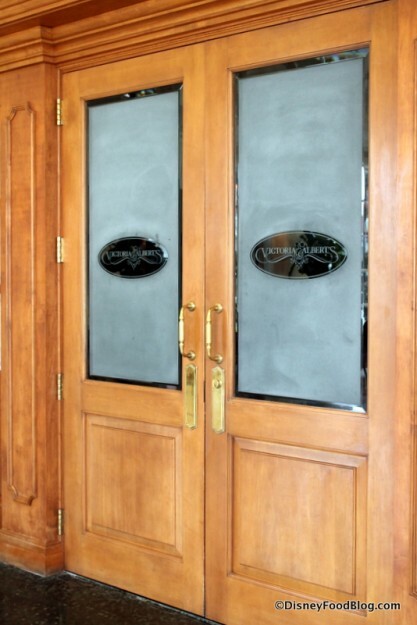 Elegance is paramount in every aspect of the dining experience at Victoria & Albert’s, from decor to service to food. If you and your significant other want a fancy, sophisticated night out, Victoria & Albert’s — with its dinner jackets-level dress code and ten-and-older age restriction — is a unique experience. What sets Victoria & Albert’s apart from other fine dining at Walt Disney World is the personalization that goes into each guest’s experience. About a week before guests dine here, the restaurant reaches out to learn about each diner’s allergies, likes, and dislikes. Personalization can take multiple forms at Victoria & Albert’s, from the substitution of a specific ingredient to the creation of an entirely new dish, and so diners receive dishes that suit their likes from start to finish. That’s pretty amazing. I’ve dined at Victoria and Albert’s multiple times, but usually I choose the chef’s table in the kitchen. This time I headed into the regular dining room. I wanted to figure out 1) Is the experience worth the money, and 2) Which is better — the Chef’s Table or the Main Dining Room? Let’s find out. 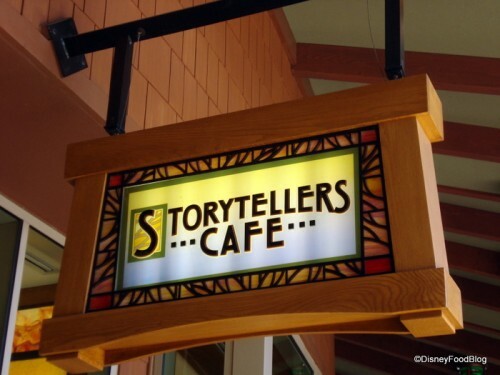 In April of this year, Disneyland Resort announced that two brand new character meals were coming to the resort — and in true @DiningInDisney fashion, our Disneyland correspondent Heather Sievers was all over it! She enjoyed Mickey’s Tales of Adventure Breakfast Buffet (which is billed as a Brunch Buffet on weekends and select Mondays and holidays!) at Storytellers Cafe in Disney’s Grand Californian Hotel — and it. was. awesome. This buffet brings Mickey, Minnie, Pluto, Chip, and Dale in their finest adventuring attire — and Heather received this cute button on her visit, too! Doesn’t Mickey look ready for fun? YES! Oatmeal Cookie Sandwich at Disney World! Everything Pop is the shopping and dining locale for the resort, and just like all great food courts, there are tons of options to suit every palate.